Bitcoin is a form of digital currency, created and held electronically. No one controls it. Bitcoins aren’t printed, like dollars or euros – they’re produced by people, and increasingly businesses, running computers all around the world, using software that solves mathematical problems, this is called Mining and you can read all about that in this guide. No one really knows who Satoshi is but rumor has it that Satoshi himself is holding onto about 1 million bitcoins, which at today’s exchange rate is worth around $4.6bn Australian dollars. If you are curious to know more Coindesk has a great article on him here. No, the currency doesn’t physically exist like dollars and cents that you can stick in your wallet, it’s not printed in some dark alley and held by some secret global bank. Bitcoin is created digitally, by a community of ordinary people like you and me, and if you really wanted too you could create your own bitcoin seemingly out of thin air, although these days it’s a lot harder than it sounds. In fact, there are strict rules that govern the amount of bitcoin that can actually exist, this rules are built into the protocols of the software and determine that there can only ever be 21 million bitcoins. Whilst this may sound like a future problem, a single coin can be divided into smaller parts, the smallest amount of bitcoin you can hold is one hundred millionth of a bitcoin, this single unit is called a ‘Satoshi’, named after the founder of bitcoin. Conventional currency has been based on gold or silver. Theoretically, you knew that if you handed over a dollar at the bank, you could get some gold back (although this didn’t actually work in practice). But bitcoin isn’t based on gold; it’s based on mathematics. Around the world, people are using software programs that follow a mathematical formula to produce bitcoins. The mathematical formula is freely available, so that anyone can check it. The software is also open source, meaning that anyone can look at it to make sure that it does what it is supposed to. Bitcoin has several important features that set it apart from government-backed currencies. The bitcoin network isn’t controlled by one central authority. Every machine that mines bitcoin and processes transactions makes up a part of the network, and the machines work together. That means that, in theory, one central authority can’t tinker with monetary policy and cause a meltdown – or simply decide to take people’s bitcoins away from them, as the Central European Bank decided to do in Cyprus in early 2013. And if some part of the network goes offline for some reason, the money keeps on flowing. Conventional banks make you jump through hoops simply to open a bank account. Setting up merchant accounts for payment is another Kafkaesque task, beset by bureaucracy. 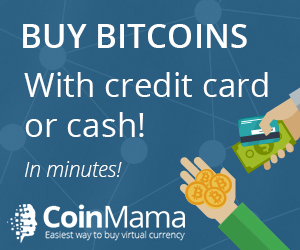 However, you can set up a bitcoin address in seconds, no questions asked, and with no fees payable. …bitcoin stores details of every single transaction that ever happened in the network in a huge version of a general ledger, called the blockchain. If you have a publicly used bitcoin address, anyone can tell how many bitcoins are stored at that address. They just don’t know that it’s yours. There are measures that people can take to make their activities more opaque on the bitcoin network, though, such as not using the same bitcoin addresses consistently, and not transferring lots of bitcoin to a single address. Your bank may charge you a $10 fee for international transfers. Bitcoin doesn’t. You can send money anywhere and it will arrive minutes later, as soon as the bitcoin network processes the payment. When your bitcoins are sent, there’s no getting them back, unless the recipient returns them to you. They’re gone forever. So, bitcoin has a lot going for it, in theory. But how does it work, in practice? Read more to find out how bitcoins are mined, what happens when a bitcoin transaction occurs, and how the network keeps track of everything. Here is an excellent video explaining more about Bitcoin which was put together by Duncan Elms.